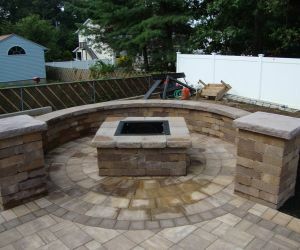 You came to the right place by choosing Long Island Patio Company and Builders Longo's. 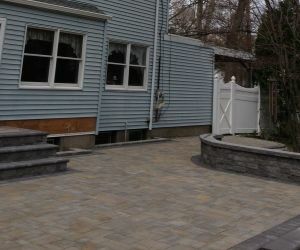 Installing over thousands of patios across Long Island well guarantee the highest quality when it comes down to the installation. 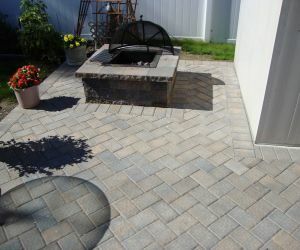 The one question that we at Longo's Landscaping get the most is what type of base do you install with your patios? 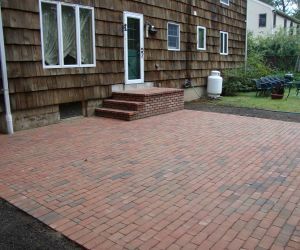 A poured concrete slab or a State Approved recycled concrete aggregate base is often used. 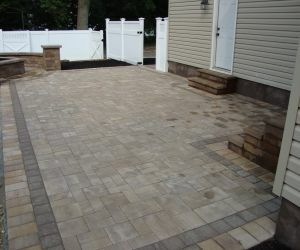 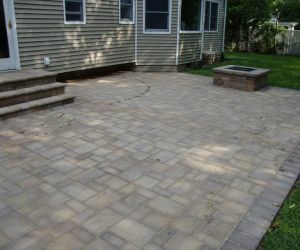 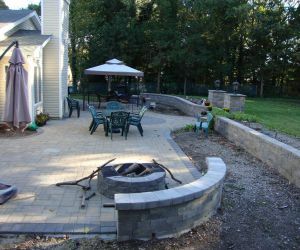 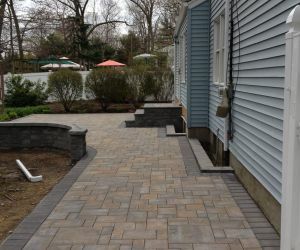 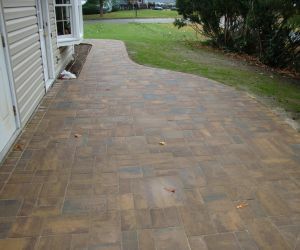 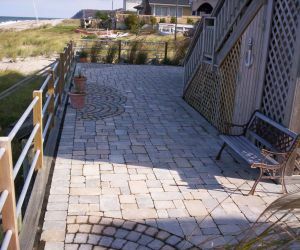 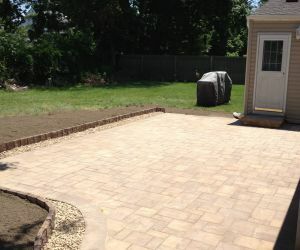 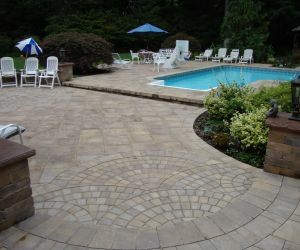 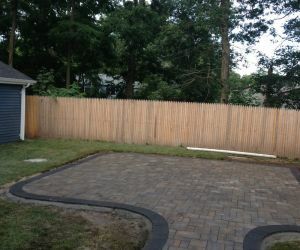 We are a Long Island patio company that are so confident with our results that we can guarantee or work on any settling or shifting of pavers for up to 10 years. 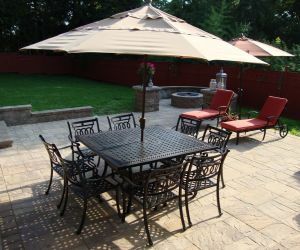 When installing a new patio one of our trained experts will give a free 3d rendering, so you can visualize the way that your patio will turn out upon completion. 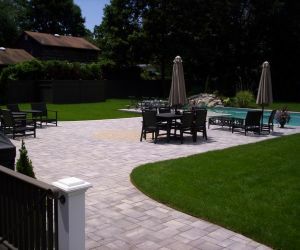 BBQs, Pool parties and Family Gatherings are considered essentials of Long Islanders' lives. 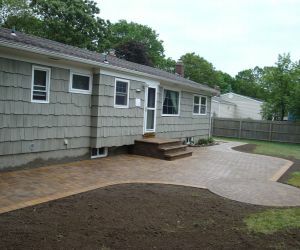 No wonder is their love for enormous Patios. 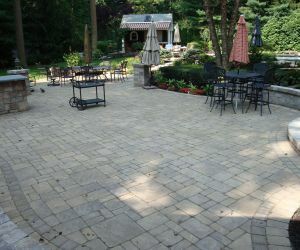 Now that patios are in your thoughts, you've come to the right place. 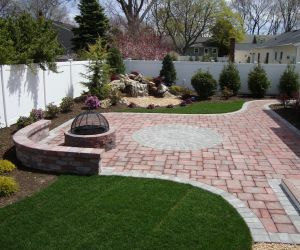 We have an extensive collection of ideas that you can choose from. 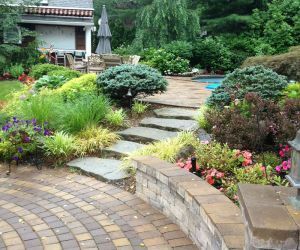 If you are starting from scratch, we have landscape architects, garden designers and patio experts to design the perfect Patio to go well with your home. 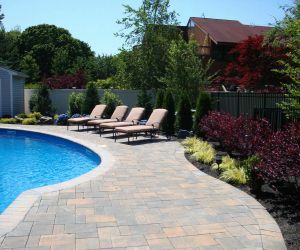 Once the design is done, you can choose from a variety of paving materials available based on your budget. 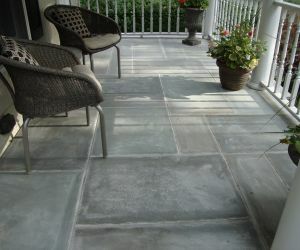 If you decide on covering your Patios (for the sunny days! 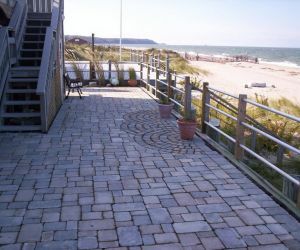 ), we have a number of roofing/pergolas options available too. 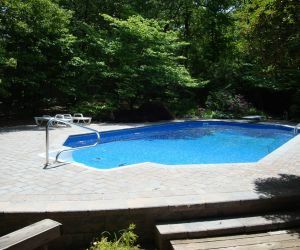 We strive hard to give you the perfect summer. 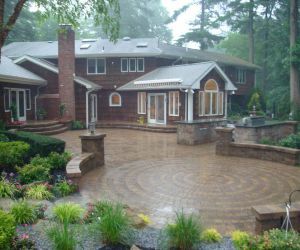 We're done only when you're satisfied. 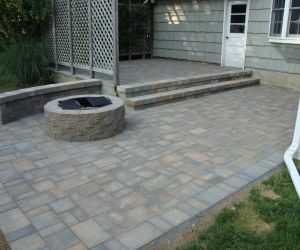 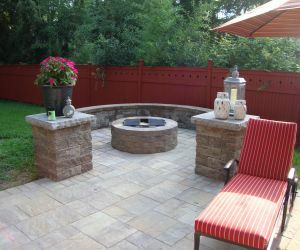 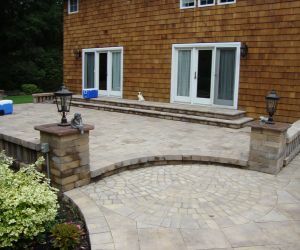 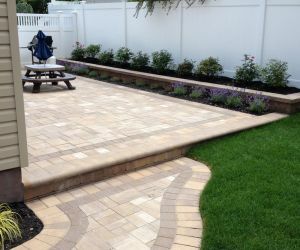 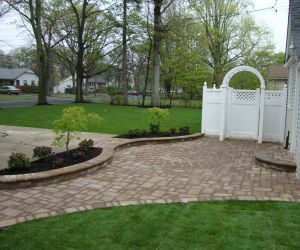 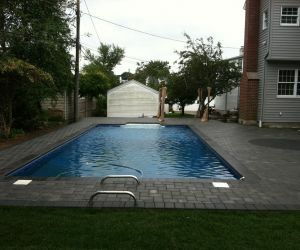 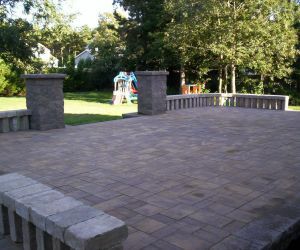 Longos Landscaping builds and installs beautiful patios in Suffolk County & Nassau County Long Island for over 25 years! 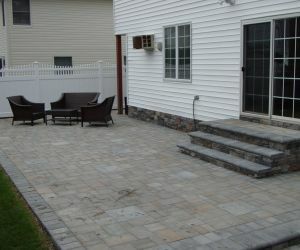 Get in touch with our experts at Patio Installers 631-862-8605 to get a free estimate. 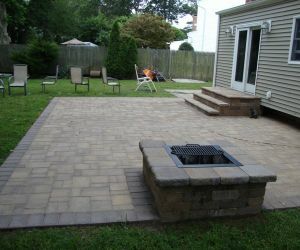 Customers choose Longo's over other Patio Companies on Long Island because of our customer service and satisfaction.